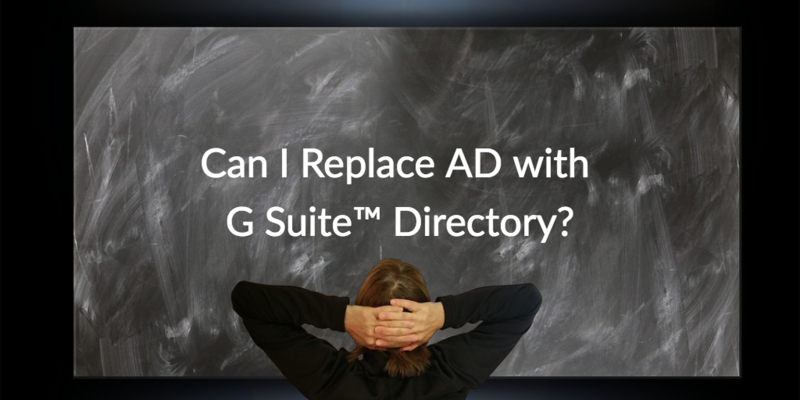 Home » Blog » Can I Replace AD with G Suite™ Directory? When you look at the facts, the answer is no. G Suite Directory is not an ideal replacement for AD. In order to understand why, we need to begin by taking a closer look at why G Suite has been so successful. 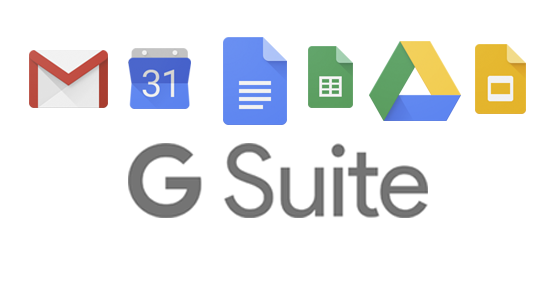 G Suite is an excellent alternative to many Microsoft solutions including Exchange®, Windows® File Server, and Office®, among others. A big part of the reason that G Suite has been so successful is because it has shifted mainstream IT infrastructure, like mail servers, to the cloud. This enables IT organizations to spend more time on core activities rather than managing email or the productivity platform stack. The thing is, G Suite was just one out of many resources to significantly alter the IT landscape. Soon, Microsoft wasn’t just battling G Suite, but also Mac® and Linux® systems, cloud servers at AWS® with Linux, Samba file servers and NAS appliances, and much more. 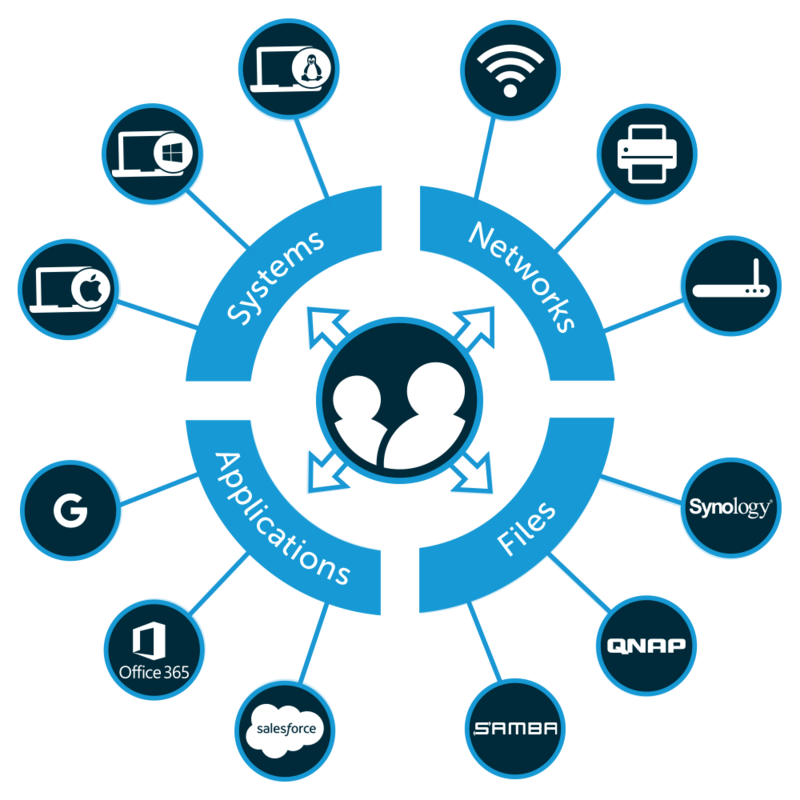 The challenge with all of these is that Active Directory isn’t able to easily connect and manage these new types of IT resources without a variety of separate add-on solutions, such as identity bridges, Identity-as-a-Service platforms, and multi-factor authentication solutions to name just a few. So, for IT organizations already leveraging G Suite, the question becomes whether they can replace Active Directory with G Suite Directory. 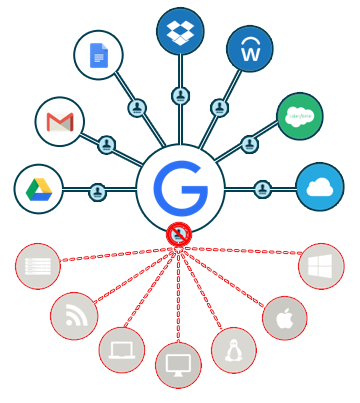 Unfortunately, while Google did attack Microsoft’s productivity platform, they aren’t intending G Suite Directory to be a replacement for Active Directory. Instead, Google Identity Management Services are really intended to be a complement to AD or another cloud identity management platform. This is because Google doesn’t integrate with enterprise systems, networks, or on-prem applications. If G Suite directory is the only IAM platform being used, IT admins aren’t able to properly manage components of their environment. The result is that IT admins look to JumpCloud® Directory-as-a-Service® as their cloud directory services solution rather than G Suite Directory. This modern SaaS identity provider is meant to replace Active Directory while extending authentication services to a wide range of IT resources. JumpCloud’s multi-protocol approach makes it possible to efficiently manage systems (using the JumpCloud Agent), applications (via LDAP and SAML), file storage (using Samba), and networks (via RADIUS). This comprehensive approach works in the users’ favor by providing them with frictionless access to all of their IT resources. Finally, JumpCloud Directory-as-a-Service is completely cloud-based and doesn’t require any on-prem software or hardware. Because JumpCloud is delivered as a service, IT admins no longer have to stress about maintenance, configuration, and ensuring high availability. JumpCloud takes care of all of that. Still have some doubts related to the question, “Can I replace AD with G Suite Directory?” Don’t hesitate to drop us a note. We’d love to take some time to walk you through why you should consider replacing AD with JumpCloud instead. If you would prefer to jump straight to testing, sign up for a free account. Our entire platform will be available to you, and your first ten users are free forever.